Do you know what a Dobos Torte is? Yeah, neither do I. Or rather, neither DID I. I had to do some research to figure out this Technical Challenge. 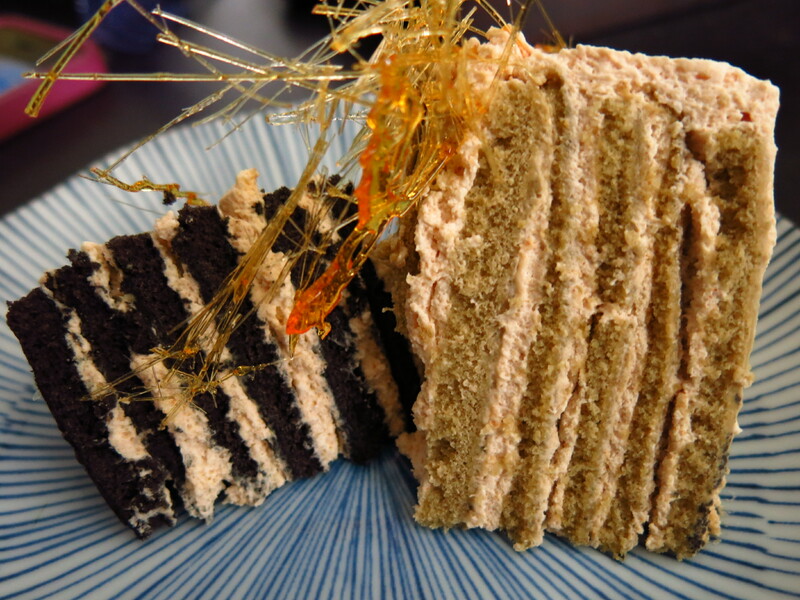 The Dobos Torte is a multi-layered cake with a lot of caramel garnish. The emphasis here is on the caramel work, which is where I concentrated my efforts. I wanted to do an Eastern twist on flavors so I made a green tea layer cake with kinako filling and then a smaller black sesame layer cake, also with kinako filling. 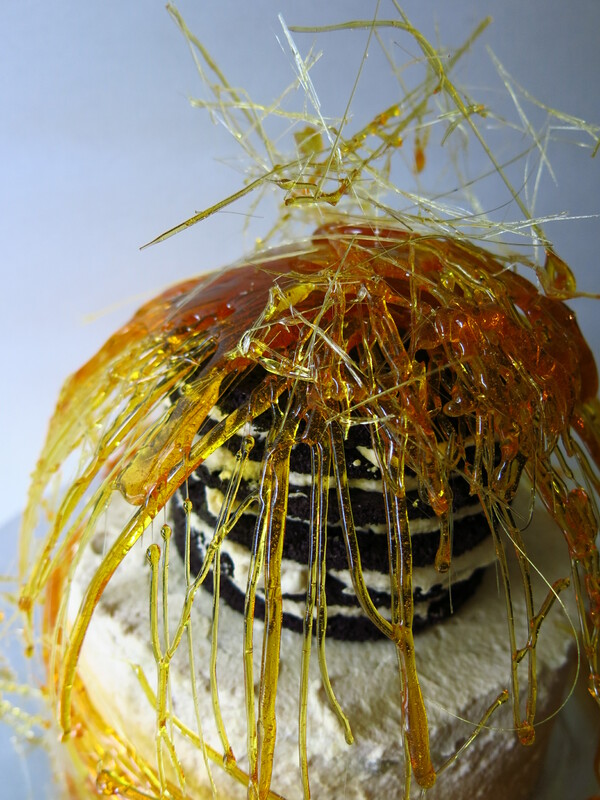 And then caramel – lots of it! To be honest, I was a little intimidated by this challenge. 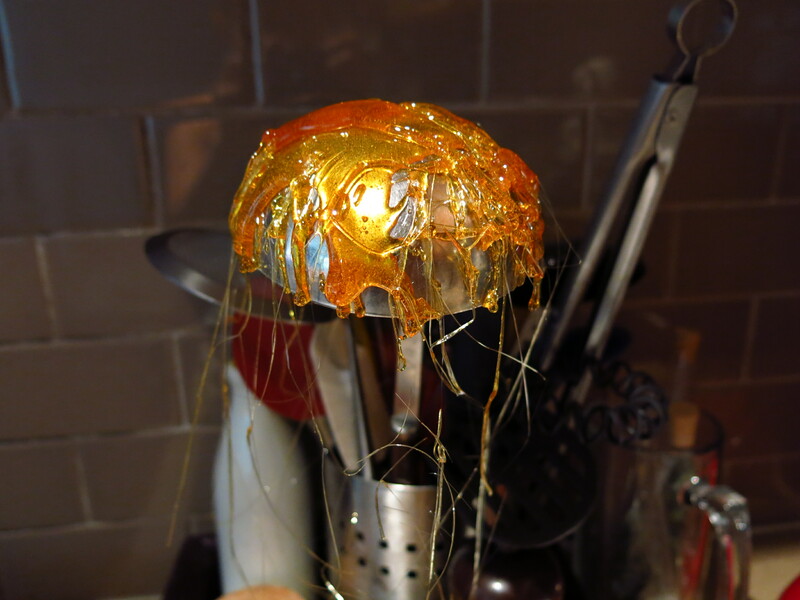 My caramel game has never been very good. It’s probably because I’m scared of it. I don’t know if it’s because I’ve never really emotionally healed from my first crystallization, or the scalding hot liquid but I tend to shy away from caramel-heavy projects. But I was determined to make this one spectacular. 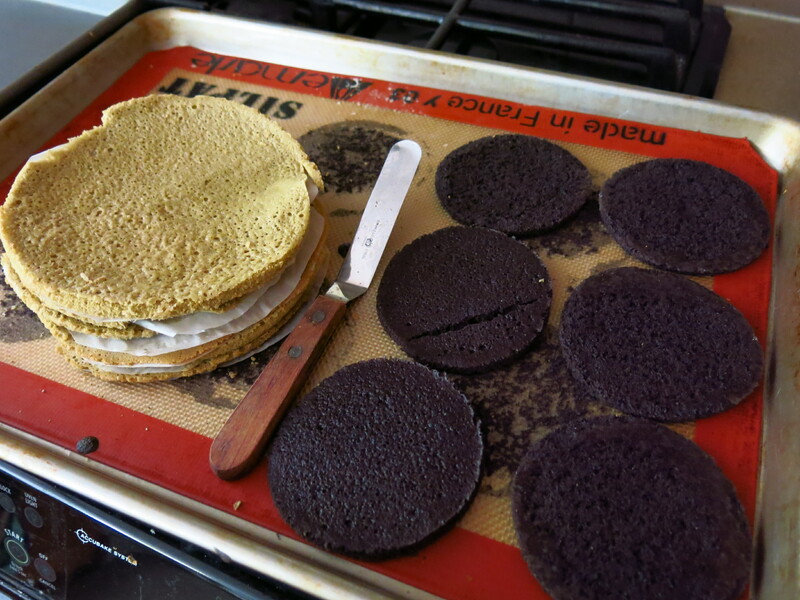 Green tea layers & black sesame layers. Even though it is a cake, I actually made the cake the second priority in this project. I really just wanted it to be the beautiful prop for the caramel decoration I had envisioned in my head. I didn’t want to make the cake too precious, so it was a simple layer cake with a flavoured whipped cream filling. 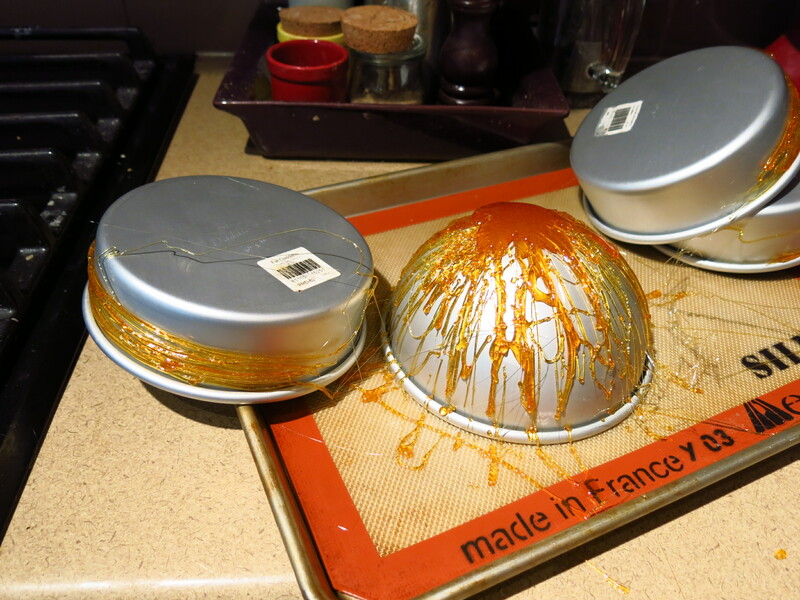 Here are the caramel “molds”. 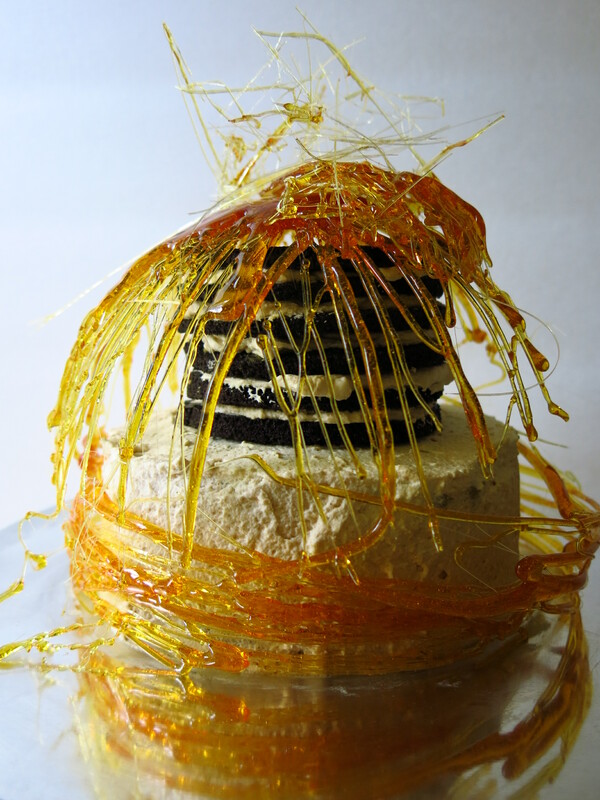 I was thinking I wanted the cake to be in a caramel cage with circular elements. 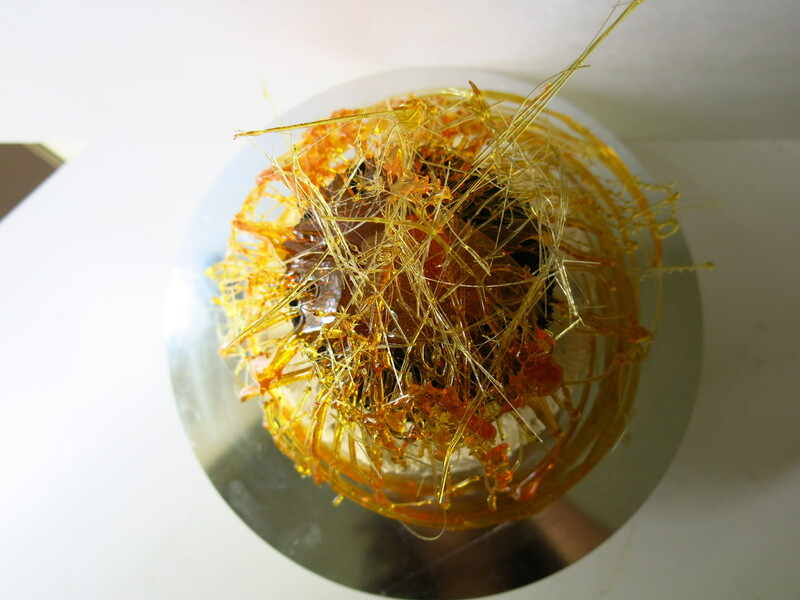 I used a cake round (same circumference as the bottom cake), a round 6″ cake dome and a ladle. The ladle wearing its caramel wig proudly! And here is the final product! 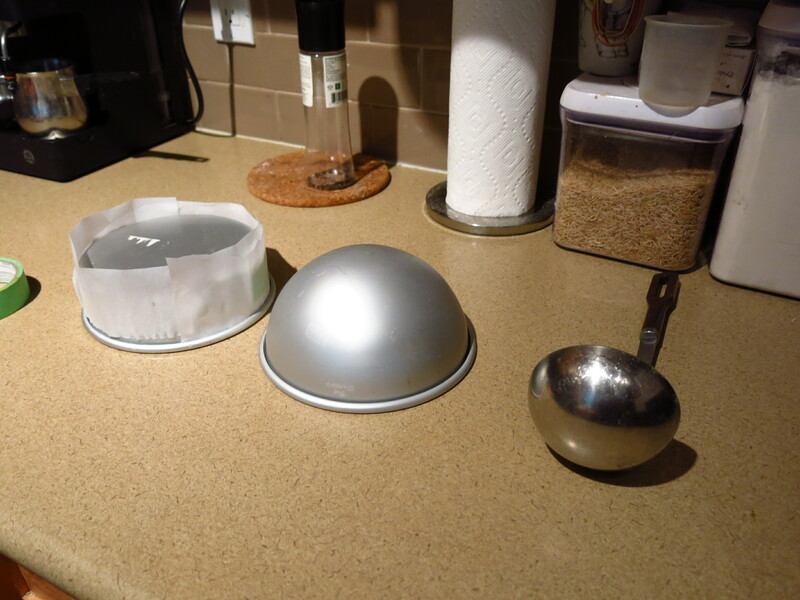 So my idea was to have the ladle “bowl” sitting on top of the inverted dome, but it didn’t quite work out. I used some caramel threads & shards to add more height. A couple of slices of Dobos Torte – happy to say it was quite tasty! My cake game wasn’t on point – but look at that caramel work! Can I say my fears were overcome? Not quite…but I’m definitely more confident. Up next the Showstopper Challenge!